In April 2013, Sea-Changers trustee, Jennifer Tankard, went to join marine conservation project, New Heaven Reef Conservation Programme, for two weeks. In an interview with Jennifer, programme director, Chad Scott, talked about the programme and its role protecting the marine environment on the beautiful island of Koh Tao, Thailand. Tell me about the background of the project? The New Heaven Reef Conservation Program started in 2007, with our first two students. Prior to that, I and New Heaven Dive school owner, Dev, had worked together through a non-profit group that was operating out of New Heaven Dive School, called the CPAD Foundation. CPAD lost its funding in 2006 and closed down, so for a while the New Heaven Dive School just ran a few projects like maintaining the biorock (a system of coral reef restoration) and doing reef surveys in our free time or as an excuse to get out of the office. People started asking if they could come with us, and we quickly realized how little they knew about the coral reef. It was then that we decided we should open a business that could be responsible for managing the reef, and at the same time training and educating divers on the threats to the reef and things that can be done to help. But we also wanted to keep things fun. Dev and I started this work as something to do in our leisure time, and even as the business grows we want to keep that same mentality. We want people to come here and learn and get involved in positive activities, but also think of this as one of the best experiences of their life. At New Heaven Reef Conservation Program we believe that all divers and dive business should be active in the protection and restoration of the ecological resources they use. We believe that through creative business practices, conservation can become an important part of the diving industry while at the same time contributing to professional research and restoration programs. By training divers in reef ecology, research, and restoration it is possible to not only reduce the threats to reef health, but to provide widespread positive impacts to local and global coral reefs. Education: Increase awareness on the threats to coral reef health and train divers in practical solutions of research, protection, and restoration. Restoration: Maintain reef abundance or biodiversity in threatened areas, increase reef size and provide alternative dive sites through artificial reefs, and promote the regrowth of reefs following disturbances. Up until last year, the programme was funded entirely by the courses that we sell. The course fees that students pay for the training and diving goes to cover all the expenses (tanks, boat fees, materials, staff, equipment, instructor fees, etc.). What is left, the profit of a normal business, is reinvested back into the programme and goes towards the artificial reef materials, tools, etc. We like to think that our real profit is the education we provide and the increases in reef health we can influence. Our goal is to function like a normal business, as we think that more and more people should be making conservation their job, and not just something they donate to in their spare time. So we do not consider ourselves a non-profit in the traditional sense of being funded by donors. That being said, this year we did receive some small grants and business loans to help improve the program a bit. How many volunteers have you involved so far and what sort of backgrounds do they have? In our first year we had 2 students, then the business has grown a bit each year. In 2012 we had a total of 211 students. In total we have had at least 350 students, not including the guests, friends, local divers, videographers, etc. that have joined our program for a few days. We have had students as young as 12, and as old as 65, and all have enjoyed it. We get many young people on gap year or in university. Most of our internships are university students (bachelors, masters, PhD). We also get a lot of 20-40 year olds that want to do something different and positive on their holidays or explore a possible career change. We also get a few retirees every year who have time and want to spend it doing fun things that also involves a lot of learning and benefits others. Demographically we have a diverse group of students, but in reality they are all very similar in one way, they have a strong respect of nature, understand the human relationship to the planet, and want to do good. It is always a friendly and fun group, and everybody fits in, no matter the age or background. Frontier Travel; Mohidol University International College; Prince of Songkla University ; Thailand’s Department of Marine Fisheries, Department or Marine and CoastalResources (DMCR); Scuba Schools International (SSI); PADI; Project AWARE. How do you involve / reach out to the local community? 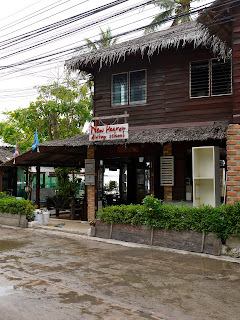 In 2008, after we had been running our courses for a little while, we were asked by the Save Koh Tao Group to help run a marine branch that would get all of the dive school involved in marine conservation. So we have basically taken a lot of our courses and information and trained the community in it so they can open or implement similar programs in their dive schools. In this way we can then all join together and work on bigger projects and have a larger positive effect on our environment and our visitors. Each year we also try to do swimming and diving programs with local school kids, and run other activities to support fundraising and other groups on the island. What do you think your main successes have been? Educating and training divers; providing a database of monthly ecological data from many locations around the island; helping to build or building ourselves artificial reef sites around the island. We now have 9 of these. What are the 3 key challenges? Dealing with the apathy most people have towards the environment and its protection (people that watch you clean the beach and then leave trash, don't think the environment needs protecting, or criticize us for not doing more to solve big problems like overfishing and climate change). Money and manpower, as with any business, we are trying to grow, if we had more students we would have more manpower and more money and could thus do bigger projects and make more of an impact. So this will always be a challenge - to keep growing the business and doing better all the time. Seeing people continue to do things that harm the environment, and ultimately ourselves, despite the fact we all know inside that what we are doing is wrong. Sometimes doing environmental work feels like banging your head against a wall. You clean the beach and the next day it is dirty; you cut a fishing net off the reef and the next week there is a bigger one; we save corals from anchors and then they die from bleaching; we train people how to be good stewards of the reef then they leave the island. But I can't imagine doing anything else. Despite all the negativity we stay optimistic and are surrounded by amazing people so it is easy to stay happy. We can see some differences coming about from our efforts, big and small changes. We will continue to do whatever we can. How sustainable do you think the future of programme is? We are not a charity, and we think that makes us much more sustainable. Charities have to answer to donors and investors. They spend more time dong that then the actual work on the ground. And if the funders pull out or want to change paths everything stops. We want to bring environmental work more to the free market, as a company, we will continue to grow as long as we are diligent and honest in our work. As long as people want to learn about these environments we will be here to provide that, we do have to worry about sustainability in the same way most non-profits or charities do. Is this a model of conservation and volunteering that is a replicable model in other places? Yes. 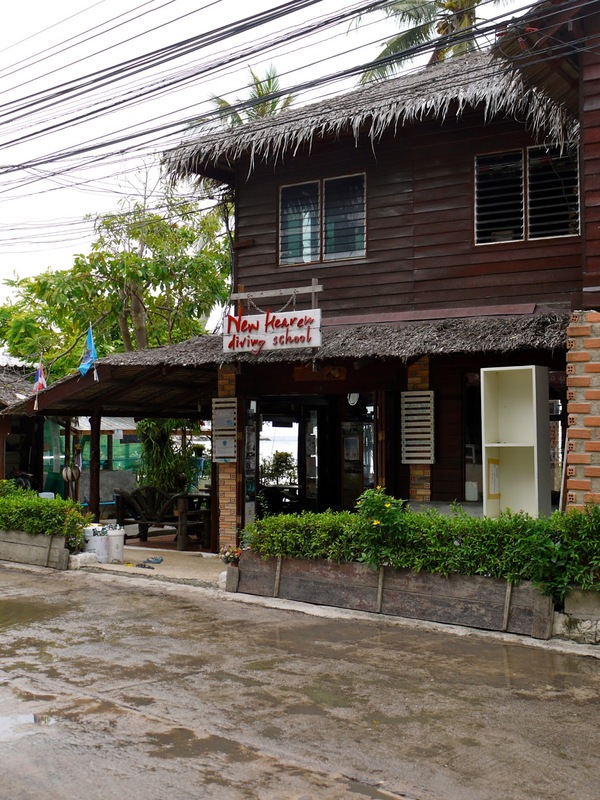 There are now four other businesses on our island doing the same thing, and other business around Thailand that we have networks with doing similar things (orphanages, elephant camps, turtle programs, etc.). Like any businesses, some of them are not good and give a bad name to the industry. But most of them provide a very good experience to their students/volunteers and are simultaneously able to fund their environmental and social projects without relying on government funding or charity. This is still not in the mind of many people, but we hope that the in the future more and more environmental work will be done using similar business models that fit with the world economy and free market systems.